The best book I read this month was a captivating murder mystery--and a completely true story. 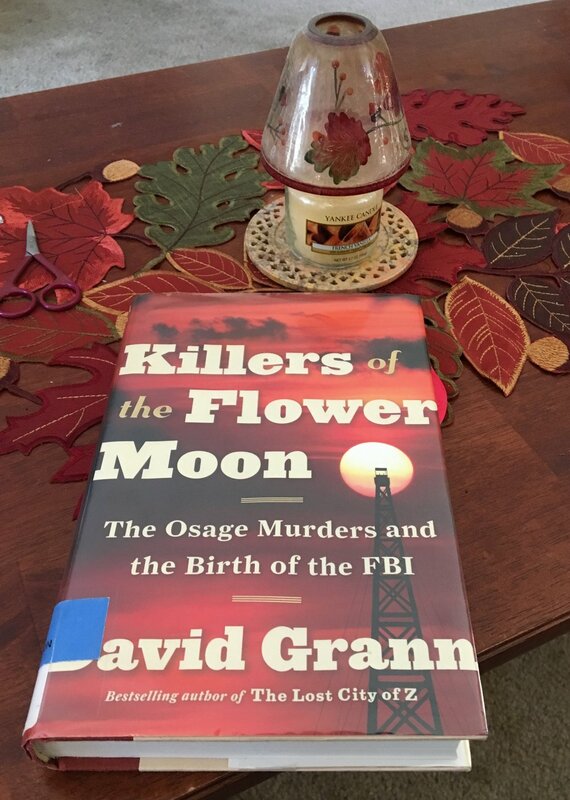 Killers of the Flower Moon by David Grann tells the story of murders of members of the Osage nation in the 1920s and how the fledgling FBI solved them. In the 1920s, the Osage in Oklahoma were among the richest people in the country, thanks to their shrewd management of the oil resources beneath their land. Then they started dying. Some deaths were blatant murders; others were suspicious accidents. Local law enforcement got nowhere. The FBI was brought in. At the time, the FBI was relatively new and J. Edgar Hoover was newly appointed as director. Both the agency and its boss had a lot to prove. They needed to prove not only that they were a capable law enforcement organization, but also that they were free of corruption. The Osage murders tested them on both fronts. One recurring theme in the book is the rampant institutional infantilization of and discrimination against Native Americans to serve the white community’s unquenchable greed for wealth and power. It's a combination that has plagued Native American communities since the first European colonists set foot on North American soil. It reached fever pitch in the story of the Osage murders. I could not put the book down. Grann crafted a page-turner, with dramatic descriptions, vivid turns of phrase, and well-timed cliffhanger chapter endings. And the wild, almost unbelievable story that Grann uncovered through his research and interviews prove the adage that truth can be stranger than fiction.